Home » Advanced » Texture In A Song: What Is It? Texture is what helps tie your lyrics to an emotional connection for the listener. Texture is the particulars that give your scene something more than simple visuals. It delivers on something that pulls your listener in and helps them identify with the song. In its easiest form, it’s one of the five senses. In a more complex form, it can also be a strong memory or a common object that has similar emotional meaning for a large number of people, for example, an “old blue shirt” or an “old pair of boots.” I’ll give a few examples of each a bit later. How Does Texture Differ From Furniture? 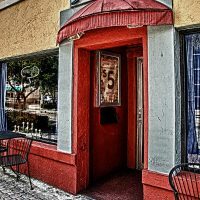 As you get feedback on your songs, you’ll more than likely be told you need to “show don’t tell.” I agree this is absolutely something to be aware of as you’re writing. Painting a scene/picture for your listener helps draw them into the story or message. You’ll also be told to place “furniture” in your song in order to achieve this goal. And while furniture will definitely take up space in your song, it doesn’t always add to the room. Think back to the ugliest chair in your parent’s living room. You can always dump some nouns or adjectives into your lines, but are they helping your listener connect emotionally to the message you’re trying to communicate in your song? And, is the furniture you’re adding something that serves a purpose, or is it something at you’re unable to send to the curb? Rather than thinking furniture, try thinking texture. Texture leverages the sights, sounds and smells to connect with a sight, sound or smell your listener understands. Your goal: to make sure they can immediately remember or visualize the thing in their “mind’s eye” or empathize with your image enough to buy into your scene and stay in the song. That’s what texture provides – a link to your listener. How Can Texture Work In A Song Using The 5 Senses? Let’s take a look at building from adding “furniture” to adding “texture” or “particulars” in a song line. While you are showing a bit more vs. telling, there is still a lack of texture. The whole scene lacks emotion and feels flat. That’s texture – the particulars that derive an emotional connection because there are details. Texure is particulars that appeal to the five senses of your listener and pulls them into your song. So if I add particulars (texture) with figurative language like personification, metaphors, similes, or allusion, I can create a more meaningful scene for the listener because they can experience the scene. What if you didn’t focus on the trees and sun, but instead talked about how the coolness of the shade felt, or how the wind felt on your skin, or how the sun turned the bark golden that early in the morning. You’ve shifted to focusing on the speaker’s senses. By doing so, you give the listener an opportunity to connect. 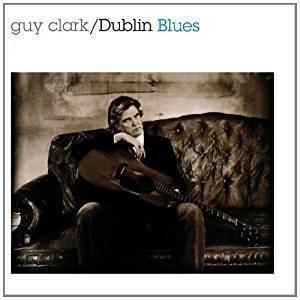 One of the best songs illustrating how to easily add texture and not overwhelm the song with imagery is Guy Clark and Rodney Crowell’s “Stuff That Works” on Dublin Blues. Clark and Crowell use common objects people already have sentimental connections to in the song to help create an emotional tie and add texture to the lyric. This is also an exceptional example of the difference between “furniture” and “texture” in a song. Notice how the items in red are not simply there to “show” – they are in the song because they have an emotional meaning for a large number of people. Who doesn’t have a favorite shirt, pair of boots or a car they will always remember? I’ve included my favorite version of the song from Jack Ingram if you’ve never had a chance to hear it. A bonus is how the chorus delivers on the objects selected, and the larger metaphor being presented, but the great news is, you don’t have to think that big to create great texture in your song. The small things add up to larger things in songwriting. Master the basics and the rest will follow! I got an old blue shirt, and it suits me just fine. I like the way it feels, so I wear it all the time. I got an old guitar – it won’t ever stay in tune. I got an old pair of boots and they fit just right. I can work all day and I can dance all night. I got an old used car and it runs just like a top. I get the feelin’ it ain’t ever gonna stop. He can’t tell if I’m a blessing or a curse. But he always shows up when the chips are down. That’s the kind of stuff I like to be around. She’s got a playground sense of justice. She won’t take odds. I got a tattoo with her name right through my soul. I think everything she touches turns to gold. 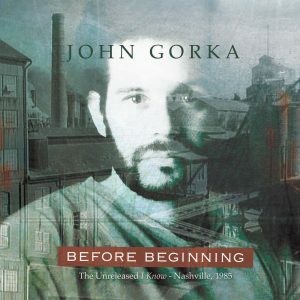 John Gorka’s “Branching Out” from the album Before Beginning (and originally on I Know) uses imagery and personification to help the listener build an empathy for being a tree. Yes, the whole song’s a metaphor, but if the listener doesn’t connect with the song, they never spend the time to dig a little deeper. If there’s no digging deeper, then the metaphor is pointless. Notice the visuals used: birds, squirrels, birds, bees – all things that depend on the tree. 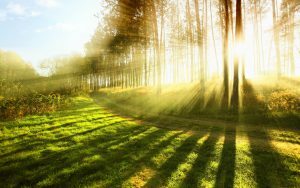 Even if you’re not into trees, those things being a part of a larger part of nature may resonate with you. The dog – as soon as you hear the line, you’re thinking, yep – I can relate to that if I were a tree. And, the chorus is the pay off. The metaphor clicks for the listener because they first agreed with the tree’s role, and then it’s progression through life. This is by far one of the best metaphors delivered with humor about a topic we can all empathize with but not see as a sad tale. It’s hope and life’s circle all bundled into a single song about a tree. Simplicity, depth and visually emotive lyrics. Pretty miraculous. And the squirrels, they can count on me. When I grow up to be a tree. When I grow up I’m gonna get real green.